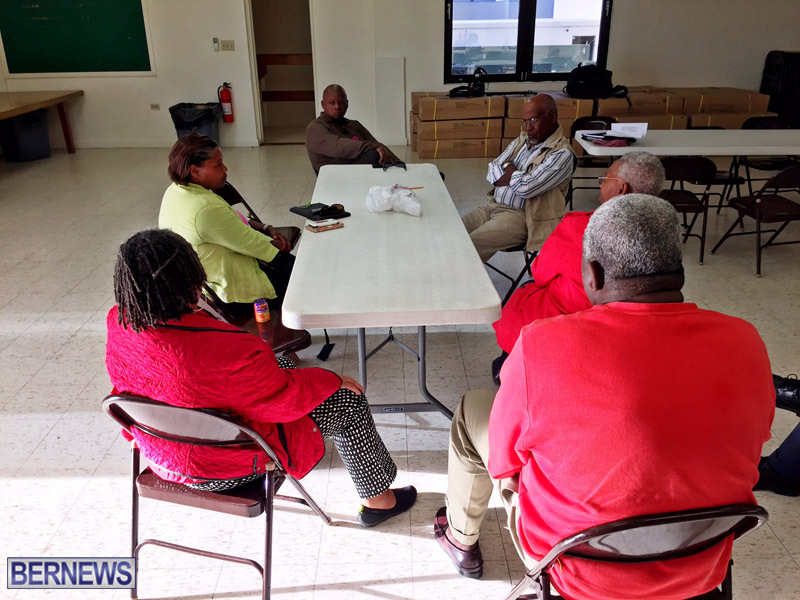 The meeting saw a limited turnout, with nine attendees in total through the course of the evening. Speaking after the meeting, Mr. Holdipp said, “Ladies and gentlemen, I just want to tell you, you missed something. You truly missed something. “You missed something. But we have another meeting. Hopefully you’ll come. It’s not about me, it’s not about my opinion. It’s about us as Bermudians. And it’s not a racial thing; we all need to come together and figure out how we can move forward because the world is changing,” added Mr. Holdipp. “There is a real transition in term of migration going on around the world – not just here, around the world. “So, I invite you, next time you hear about us getting together, don’t look at me, look at you, look in the mirror, decide what is it you want to see Bermuda achieve. I do agree with Mr. Holdipp’s words in the above. But I do not agree with his singling out this Government and placing the blame solely on them for our current position. The finances they inherited were atrocious ($408mn deficit and $2bn debt) and as such monies required need to be sourced from foreign investors. As he noted the world is changing and Bermuda must learn to adapt. Isolationist and protectionist policies will not work in a globalized world. Our peer jurisdictions have long recognized this need and as such have overtaken Bermuda as a more desirable jurisdiction in which to do business or vacation. It is time to realize Bermuda is no longer another world and the time has come to either sink in our own pride or swim with the rest of the world. They say if you tell a lie often enough, people will start to believe it. It is not true that the OBA inherited a debt of $2bn. It is true that Min. Richards borrowed a total of $800m in his first year of Minister of Finance. @vote for me, speaking of lies, you need to stop believing the lies the plp has told you!!! Yes the OBA borrowed $800 million their first year!! But, do you want to hear the truth why??? Probably not but I will tell you anyway!!! The first year the OBA were the government they were operating under the plp BUDGET for the fiscal year!!!! And they NEEDED to borrow the money to pay for the plp BUDGET that year!!! If they did not borrow that money, within the first 3 months of them being government, they would have NOT been able to make payroll for the OVERBLOATED CS!!! Now do you get it????? From now on, when you claim to speak on behalf of Bermudians please keep in mind that you speak on behalf of approximately 0.00015% of the population. ‘The world is changing’ is the most profound thing this man said. Bermudians must change with it, or be left behind. Everything starts small and grows from there… or doesn’t. While this fellow’s focus may be misdirected in some ways, at least he stepped up and did something. You never know what could have come out of this meeting. He may be misguided (or not) but at least he stood up. Mr. Holdipp, where were you between 1998 and 2012? In particular 2006 – 2012? Why is this all of a sudden so urgent? Are these the same 9 people that voted for Laverne when she stood as an MP? and just who are you to involve Bermudians with your nonsense? I rely on my representative that I elected to assist me, not you. I disagree with this man’s views, but I will try to be at the next meeting. Of course, I will be respectful. I am relieved to know that there is only a limited amount of of extreme radicals on this island!! Here is a list of those in attendance to this nonsense. John Holdipp seems like a sincere man with views not represented by either the PLP or OBA. Only 9 turned up to his meeting, but you’re hardly going to have a mass rally for a first meeting only modestly publicised. It would be interesting to see him set up a political party for like-minded people and contest the next election. I think he could, if organized and with a team alongside him, get enough votes to affect the outcome. Good luck with the law suit. 9 people were willing to listen to this man talk of the OBA’s economic turmoil. No mention of the PLP causing the turmoil though. why don’t you summarize what we missed. I’m sure there were some folks who couldn’t attend due to other commitments. the name of the summit says it all. seems all participants should take a principle from Steven Covey’s “7 Habits of Highly Effective People,” -Habit 5. Seek First to Understand, Then be Understood. there might be some common ground. i shall consider attending the next summit.